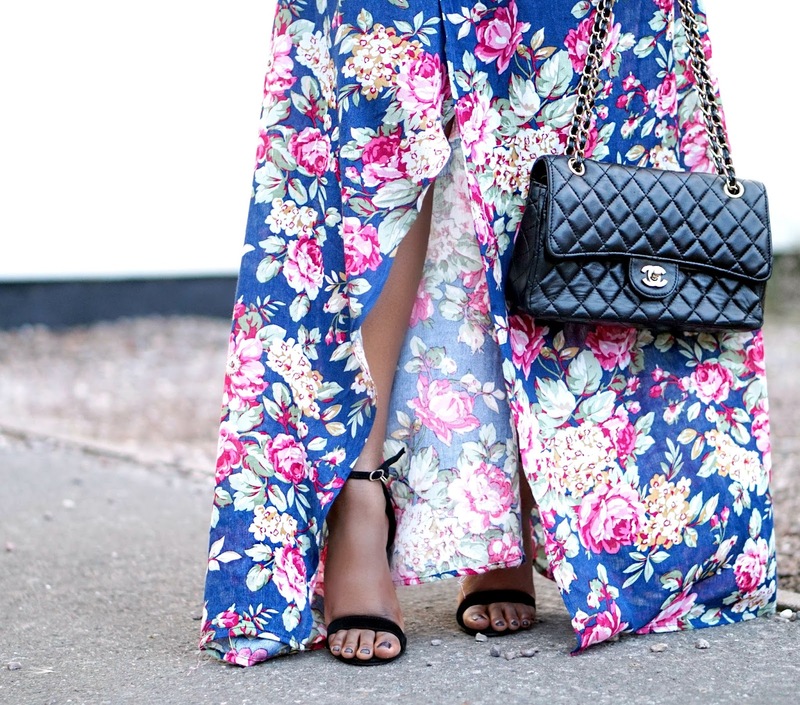 Part two of my 'How To Wear A Floral Dress' posts is finally here. This may be a maxi dress like in part one, but this dress is actually strapless and has only one slit instead of multiple slits like the other dress (which I slightly prefer more *hands over mouth monkey emoji*). I think that this dress would be ideal to wear to a wedding. It's one of those dresses that's super stunning to the point that it may look better than the brides dress, but it's too bad she can't say anything about upstaging her because it's not 'white' - muhahaha. If your problems areas are the hip area or your thighs, then is dress is for you, it's amazing because it somewhat conceals your hip area with the flowy bottom design and puts emphasis on your bust instead(this dress get's no complaints from me). 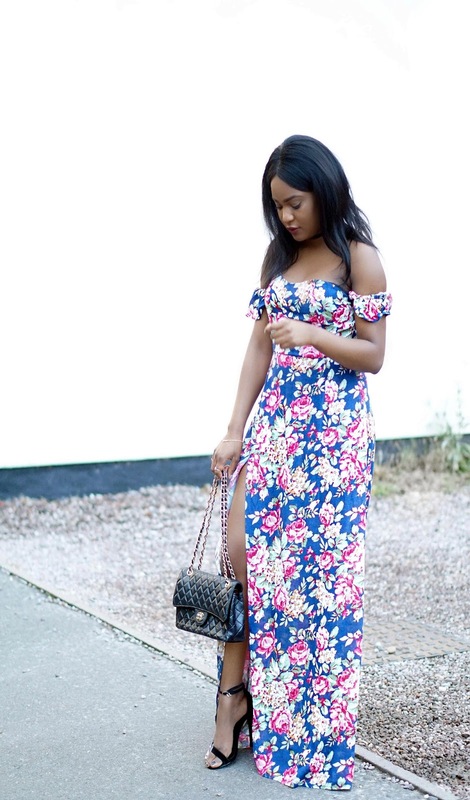 I am very short, like 5.3' short and it can be tricky to wear a maxi dress at my height, which is why I think that a slit maxi dress is ideal for petite girls because the train can just behind you the front is open, which reduces any changes of tripping on the dress. 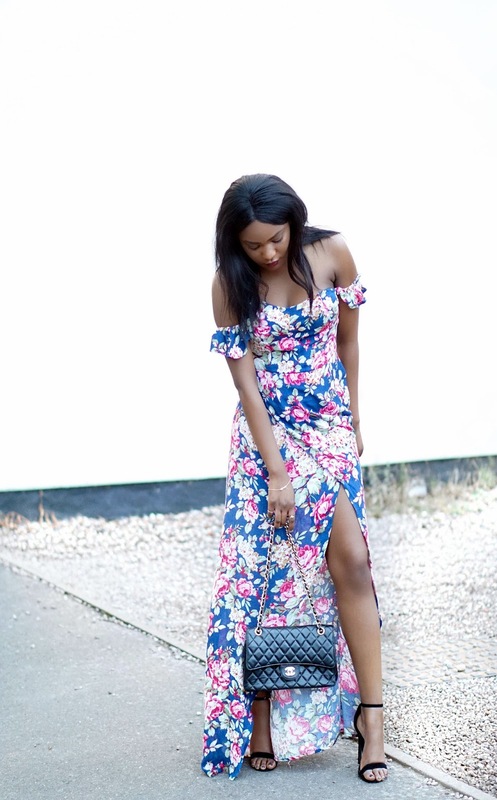 The dress is from Shein and they are currently having some awesome sales where you can get up to 85% off in the sales from 28th -30th August, check the sales out: here // here // here #thankmelaterloves.